Chuck Lewis here. Got a great secret to reveal in this HOT-TIP - Let's get right to it! This is SUCH a powerful step in the marketing process! You see, everyone is getting pounded with tons of marketing on a daily basis - be it in the mail, on TV, on the radio, billboards, the sides of buses - everything. So, when they get something from you that actually has some CONTENT to it - that is not merely trying to sell them on working with you - they will be thrilled. And that's why the content of your newsletters are so important. They need to be something that your clients are actually looking forward to receiving in their mailbox. They need to be something that will get read. How often should you be in contact with your clients (or potential clients?) AT LEAST ONCE A MONTH - period. Many photographers feel that's too much. I feel that may not be enough. You see, with the newsletter secrets I'll reveal below, your clients will ACTUALLY LOOK FORWARD to hearing from you every month! No kidding. They'll look forward to opening their mailbox and finding your happy newsletter there. How complex does the design of the newsletter have to be? Not complex at all. In fact, simpler is better. It can even be in standard letter format - just make sure you do great headlines about the subjects of the newsletter! If you want to do a more traditional design for your newsletter, most design programs (including MS WORD, I believe) have templates for newslettes. Just use one of those, and put in your own content. The marketing gurus with whom I study mostly agree that it's better to have a newsletter that does not actually relate much to the photography. This is because photography is such a small part of their lives, where-as it is a large part of OUR lives. Remember, the goal of the newsletter (which could also be an ONLINE e-newsletter) is to build RAPPORT with the client - and to NOT come across as a pushy sales message. So I strongly recommend your newsletter be about things you are interested in, passionate about, and that are NOT about photography. But this is not to say that you couldn't have a part of the newsletter be about one of your clients, or one of your client's businesses, etc. - or a recent portrait you created, along with, perhaps, a testimonial from that client. But most of the newsletter should not be about photography. How do you find great content for your newsletters? Put yourself in the position of your clients. You know a lot about them. For example, if you're targeting FAMILY portraits, you know that your clients (and potential clients) are probably very family oriented. Look for material about raising children - activities to do in the area that can involve the whole family - a calendar of events - etc. You can even include tips on how to throw the perfect child's birthday party. The sky's the limit. Do research for your writings, just as all writers do. Get a few magazines in the areas you are interested in. Think about your clients. What would they enjoy leaning more about? Raising positive, well adjusted children. Interesting places to see or visit. Things like that. Should you have a special offer IN THE ACTUAL newsletter? I'd recommend against it. You do that in a separate letter that accompanies the newsletter. And I would not personally put in a photo tip. Photography is just too small a part of their life. I suppose you can do a short tip about how to take better "snap-shots" when on vacation with your family, but I'd still rather not. I don't ever want to do anything that cheapens what we do as photographers, and talking about "snap-shots" just doesn't sit well with me, but if you want to do that occassionally - give it a try. Also, putting in some testimonials from current clients who are loving their photographs can't hurt. Especially if you talk a little bit about the family in terms not having anything to do with their photograph - for example - "John Jones and his family just went to Disney World for a week, and here's one of the new things they did there." The power of these newsletters cannot be stressed enough. You will be in front of them every month, building an amazing relationship with them - that's priceless. When it comes time to think of having a photograph done (or ANOTHER photograph done in the case of VIP clients), they will think of YOU AND ONLY YOU. Your competitors are NOT doing this! 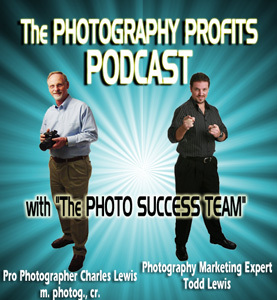 Keep your eyes open for more photography business and photography marketing HOT-TIPS to come! 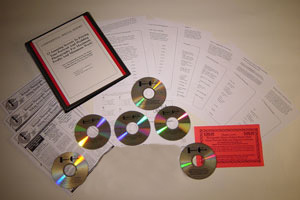 "Marketing To Your 'PAST' Clients - PLUS A Great Way To Build Relationships With NEW Clients!"